Goodreads: Ellie Pringle has spent endless hours and countless dollars working with a therapist to remember the lost years of her childhood. She’s baffled and more than a little intrigued when the grandmother she hasn’t seen in thirty-four years dies and leaves her a fortune. The time has come to face her past in person. Still reeling from a recent breakup of a long-term relationship, and with nothing to keep her in San Francisco, Ellie packs her meager belongings and boards a plane for the South Carolina Lowcountry. 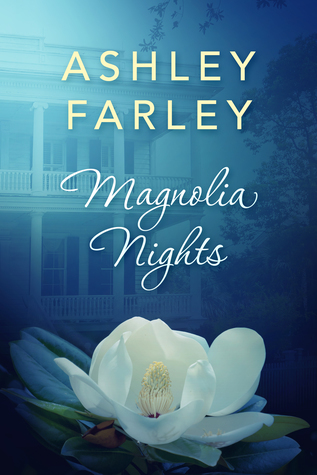 Standing in the entryway of her grandmother’s antebellum home on South Battery Street in Charleston, Ellie faces the first of many ghosts who will soon haunt her. On her first night in the creepy, creaking mansion, as she’s perusing the titles in a dusty bookcase, she comes across her deceased mother’s leather-bound journal. Her mother’s words create more unanswered questions and send her on a quest to find more journals. As Hurricane Lorene bears down on the South Carolina coast, Ellie encounters Julian Hagood, a handsome architect who has the talent to restore her dilapidated mansion and the charm to mend her broken heart. But as Ellie reads her mother’s diaries, they dislodge a stone in the wall that safeguards her memories, causing her world to come crumbling down. Revelations about her childhood lead Ellie on a harrowing journey of discovery that will hold readers spellbound until the dramatic conclusion. Kritters Thoughts: Ellie Pringle has been left a house in Charleston by a grandmother who she hasn't spoken to in years. By returning to that house she is going to end up bringing back memories of her past and just may learn about her and her family things that she never knew. But will she end up in a better place after making such a big change in her life? From the start I loved Ellie. She was such a great character and I was excited to go on this journey with her to find out the truth about her past and maybe to send her down a different future. I loved how the truth came out in bits and pieces and how it felt really honest each time Ellie learned something new and her reactions were just spot on. I of course don't want to say too much to spoil the plot points of the book, but there were quite a few times where I just couldn't believe what she had gone through and what she had mentally blocked from her past. This book set up for the second one in just the right way that I immediately wanted to read it and find out what was going to happen next. I love it when after the first book in the series, I want to immediately grab the second and not take any sort of breather in between. Tomorrow I will review the second in the series.